← How “Googleable” Are You? For all of the articles and blog entries—including entries from this blog—that sing the praises of content marketing, there remain many business owners who are resistant to the idea, or at the very least a bit skeptical. It is not hard to understand why this might be. On the face of it, content marketing might seem a bit counterintuitive— and certainly, the idea that giving away free insights and expertise could somehow grow a business and positively impact sales takes some getting used to. 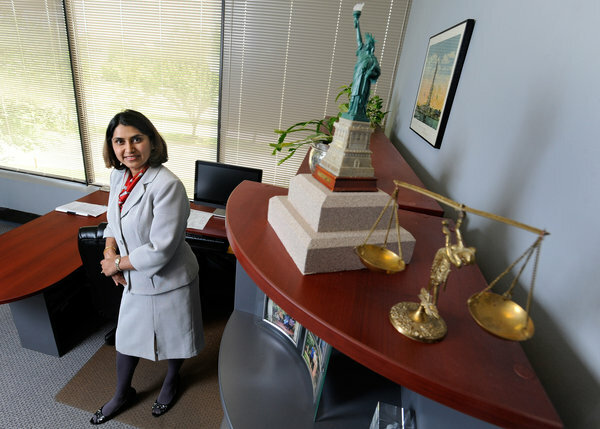 Sheela Murthy—an Indian immigrant—founded her law firm in 1994. That same year, she launched a company website—long before corporate websites became commonplace. In fact, she tells the Times that websites were so uncommon at the time that other firms considered her fairly “weird” for putting so much time and effort into launching one. But launch it she did—and it has paid off hugely. From the get-go, Murtha wanted her website to be an online hub for legal information and guidance, not a promotional or “salesly” forum in the least. By giving away copious amounts of free information, Murthy established herself as one of the most authoritative figures in her field. Today, hers is the most-visited legal website in the world, and her practice assists clients from all over the country. There are several lessons that other businesses—law firms or otherwise—can learn from The Murtha Law Firm’s website. One of the lessons that Murtha teaches is that, when it comes to content marketing, it is important to have a strategy in mind—and to stick to it. “From the beginning,” The New York Times tells us, “her strategy was to post information about immigration.” By never deviating from that core objective—never venturing into shameless promotion, or going off-topic—Murtha transformed her site into an online traffic magnet. Another lesson learned is that good content marketing is centered on helping the user, giving him or her something of value. Murtha says that the driving force behind her website was never, necessarily, to rake in money (though she’s certainly done so), but rather to “make people feel empowered and respected” as they face various legal conundrums. In the same way, your company—whether it’s a law office, a plumbing company, or a doggie daycare—can focus on distributing content that is informative and actionable, as well as relevant to your user base. Don’t be surprised when this kind of content leads to a growing online following, and ever-improving search engine visibility. Another important lesson: Content marketing sells without selling. “There’s no hard sell,” Murtha says, of her website—“it’s priority is not to bring in clients but to help and show we care and know our stuff.” But bring in clients she does; in addition to her annual billings, Murtha also has an online bulletin board community with more than 165,000 members. All of these folks are coming to her website because she’s putting sales on the backburner, and instead focuses on establishing her industry expertise and know-how. Indeed, by establishing online authority, and demonstrating a willingness to help clients and consumers in a meaningful way, companies can watch as their own sales climb upward—all thanks to a strategic content marketing campaign. This was a great read. I completely agree that content really is such an important aspect of law firm web marketing. It’s a great way to not only increase your online presence but gain more clientele as well. It’s also a way for readers to get a sense of what the firm is about and the kind of advice they would give. Readers don’t bother to read content if it isn’t relevant, engaging and informative.